Tech luminaries Steve Wozniak, co-founder of Apple, and Jimmy Wales, founder of Wikipedia, have joined a new campaign pushing for a pardon of National Security Agency leaker Edward Snowden. Other supporters of the PardonSnowden.org campaign, launched Wednesday, are Harvard law professor and tech policy author Lawrence Lessig; tech investor Esther Dyson; noted cryptographer and MIT professor Ron Rivest; and Electronic Frontier Foundation co-founder John Perry Barlow. The campaign, supported by the American Civil Liberties Union, Amnesty International, and Human Rights Watch, asks supporters to sign a letter asking President Barack Obama to pardon the former NSA contractor. "Snowden’s actions ... set in motion the most important debate about government surveillance in decades, and brought about reforms that continue to benefit our security and democracy," the letter says. Snowden made his own pitch for a pardon this week. The campaign has also attracted high-profile support from outside the tech community, with many backers coming from the liberal end of the political spectrum. Other supporters include actress Susan Sarandon; musician Michael Stipe; film director Michael Moore; author Joyce Carol Oates; and actor Martin Sheen. "Thanks to Edward Snowden’s act of conscience, we have made historic strides in our fight for surveillance reform and improved cybersecurity," ACLU Executive Director Anthony Romero said in a press release. "It is indisputable that our democracy is better off thanks to Snowden, and it's precisely for cases like his that the pardon power exists." Another supporter of a pardon is journalist Glenn Greenwald, who wrote the first stories about Snowden's leaks of mass NSA surveillance, both in the U.S. and worldwide. The NSA didn't immediately respond to a request for a comment on the pardon campaign. 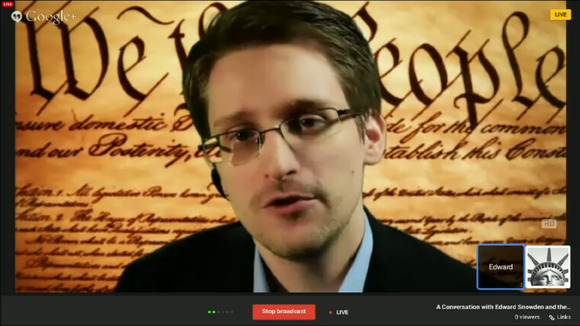 Obama has resisted earlier calls to pardon Snowden, who is now living in Russia. In a July 2015 response to a petition to pardon Snowden, the White House said he should "come home to the United States, and be judged by a jury of his peers."